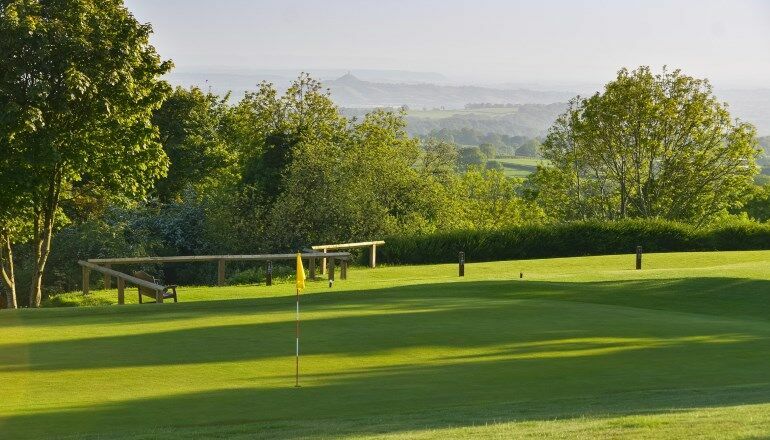 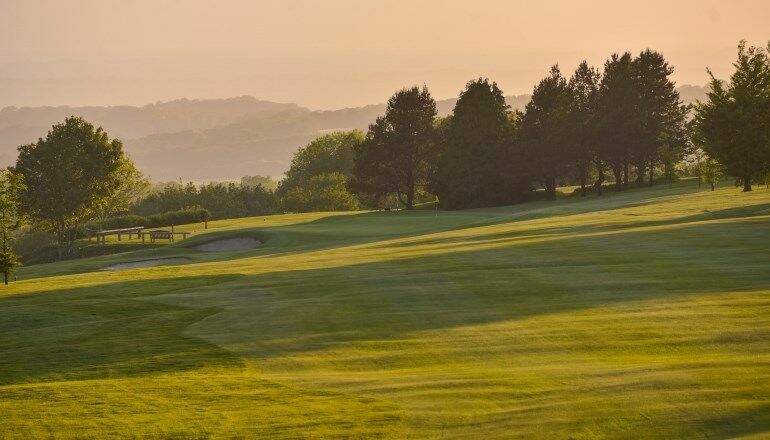 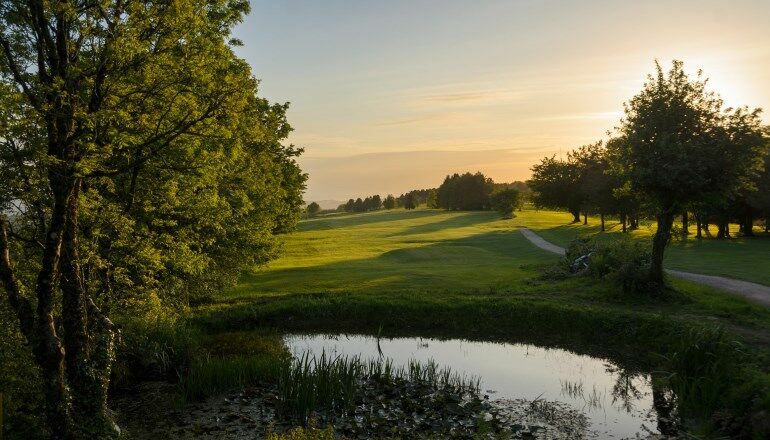 The first of Mendip's two par 5s, this hole requires a well struck tee shot to find the fairway. 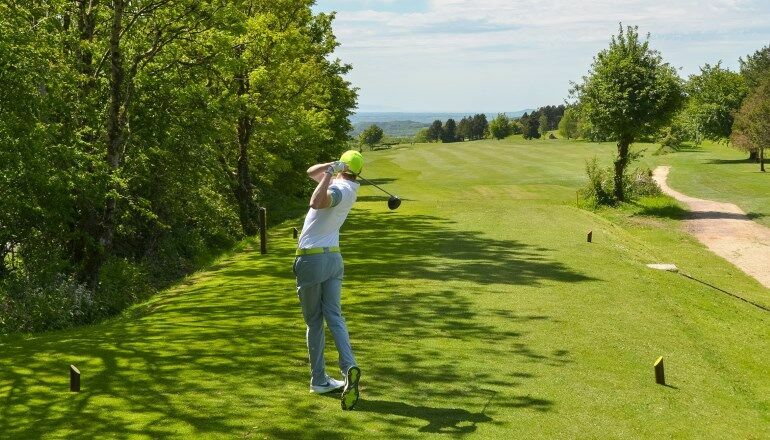 Slightly downhill, a drive past the marker puts the green within reach in two. 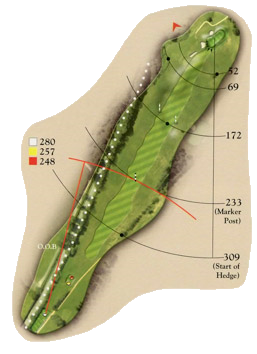 The long narrow green can be approached by running the ball in from the right but if misjudged, this can leave a difficult pitch or chip. 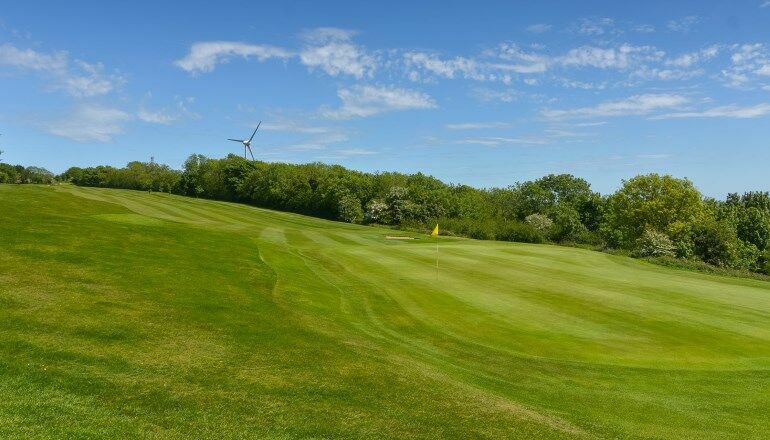 The left side of the green has two good bunkers set into the bank and any shot missing left will run away down the bank, leaving a delicate pitch to the green.